- use the Search box to find specific lecture. Doménikos Theotokópoulos (October 1541 – 7 April 1614), most widely known as El Greco ("The Greek"), was a painter, sculptor and architect of the Spanish Renaissance. His works blend Post-Byzantine iconographic art, Mannerism, Venetian Renaissance and Spanish Mysticism - characterized by modern scholars as an artist so individual that he belongs to no conventional school. He is best known for tortuously elongated figures and often fantastic or phantasmagorical pigmentation. El Greco's dramatic and expressionistic style found appreciation in the 20th century and he is regarded as a precursor of both Expressionism and Cubism, while his personality and works were a source of inspiration for poets and writers such as Rainer Maria Rilke and Nikos Kazantzakis. Diego Rodríguez de Silva y Velázquez (June 6, 1599 – August 6, 1660) was a Spanish painter, the leading artist in the court of King Philip IV, and one of the most important painters of the Spanish Golden Age. 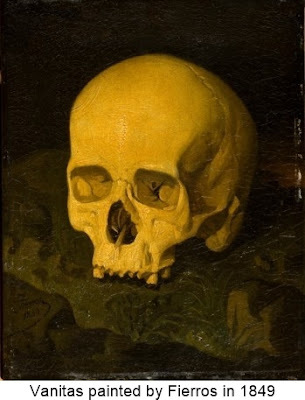 He was an individualistic artist of the contemporary Baroque period. In addition to numerous renditions of scenes of historical and cultural significance, he painted scores of portraits of the Spanish royal family, other notable European figures, and commoners, culminating in the production of his masterpiece Las Meninas (1656). Francisco José de Goya y Lucientes (30 March 1746 – 16 April 1828) was a Spanish romantic painter and printmaker. 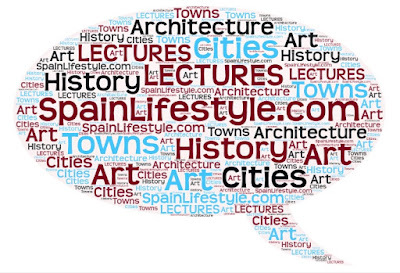 He is considered the most important Spanish artist of the late 18th and early 19th centuries and throughout his long career was a commentator and chronicler of his era. Immensely successful in his lifetime, Goya is often referred to as both the last of the Old Masters and the first of the moderns. He was also one of the great contemporary portraitists. Joaquín Sorolla y Bastida (27 February 1863 – 10 August 1923) was a Spanish painter. Sorolla excelled in the painting of portraits, landscapes, and monumental works of social and historical themes. His most typical works are characterized by a dexterous representation of the people and landscape under the bright sunlight of his native land and sunlit water. Pablo Ruiz Picasso (25 October 1881 – 8 April 1973) was a Spanish painter, sculptor, printmaker, ceramicist, stage designer, poet and playwright who spent most of his adult life in France. Regarded as one of the most influential artists of the 20th century, he is known for co-founding the Cubist movement, the invention of constructed sculpture, the co-invention of collage, and for the wide variety of styles that he helped develop and explore. Among his most famous works are the proto-Cubist Les Demoiselles d'Avignon (1907), and Guernica (1937), a dramatic portrayal of the bombing of Guernica by the German and Italian airforces during the Spanish Civil War. Salvador Domingo Felipe Jacinto Dalí i Domènech, 1st Marquis of Dalí de Púbol (11 May 1904 – 23 January 1989), known professionally as Salvador Dalí was a prominent Spanish surrealist born in Figueres, Catalonia, Spain. He was a skilled draftsman, best known for the striking and bizarre images in his surrealist work. His painterly skills are often attributed to the influence of Renaissance masters. His best-known work, The Persistence of Memory, was completed in August 1931. Dalí's expansive artistic repertoire included film, sculpture, and photography, at times in collaboration with a range of artists in a variety of media. 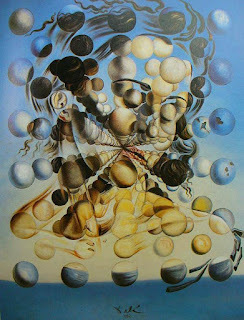 Dalí was highly imaginative, and also enjoyed indulging in unusual and grandiose behavior. To the dismay of those who held his work in high regard, and to the irritation of his critics, his eccentric manner and attention-grabbing public actions sometimes drew more attention than his artwork. Isabella I (22 April 1451 – 26 November 1504) reigned as Queen of Castile from 1474 until her death. Her marriage to Ferdinand II of Aragon became the basis for the political unification of Spain under their grandson, Charles V. After a struggle to claim her right to the throne, she reorganized the governmental system, brought the crime rate to the lowest it had been in years, and unburdened the kingdom of the enormous debt her brother had left behind. Her reforms and those she made with her husband had an influence that extended well beyond the borders of their united kingdoms. Isabella and Ferdinand are known for completing the Reconquista, ordering conversion or exile of their Muslim and Jewish subjects, and for supporting and financing Christopher Columbus's 1492 voyage that led to the opening of the New World and to the establishment of Spain as the first global power which dominated Europe and much of the world for more than a century. Isabella, granted together with her husband the title "the Catholic" by Pope Alexander VI, was recognized as a Servant of God by the Catholic Church in 1974. Frida Kahlo de Rivera (6 July 1907 – 13 July 1954) was a Mexican artist who painted many portraits, self-portraits and works inspired by the nature and artifacts of Mexico. Inspired by the country's popular culture, she employed a naïve folk art style to explore questions of identity, postcolonialism, gender, class and race in Mexican society. Her paintings often had strong autobiographical elements and mixed realism with fantasy. In addition to belonging to the post-revolutionary Mexicayotl movement, which sought to define a Mexican identity, Kahlo has been described as a surrealist or magical realist. Remedios Varo Uranga (16 December 1908 – 8 October 1963) was a Spanish surreal painter, writer and graphic artist, political exile in Mexico and naturalized Mexican later. She was one of the first women who studied at the Royal Academy of Fine Arts of San Fernando in Madrid . In 1932 she settled in Barcelona , where she worked as an advertising designer, joining the Catalan surrealist group Logicofobista . In 1937 he traveled to Paris with the French surrealist poet Benjamin Péret and in 1941, with the arrival of the Nazis in the French capital, he went into exile in Mexico . She never returned to Spain .Varo's work evokes a world emerged from her imagination where the scientific, the mystical, the esoteric and the magical are mixed. It was developed during the 14th century and reached its maturity and maximum expression in the 15th century. It occurred in the Kingdom of Valencia, held by the crown of Aragon, born out of conquered Muslim territory. After the conquest, the Valenician kingdom was left out of political problems of the Crown and hence flourished in agriculture, craftsmanship and trade commercialism aided by its easy access to the Mediterranean and an expert submissive Moorish workforce. Throughout the fifteenth century, urban and rural growth was supported by influential people determined to promote their wealth with sacred and civil grandeur. King Alfonso V and the family of Rodrigo de Borja, then Pope Alejandro VI, were eager to advance the Valencian Gothic style. 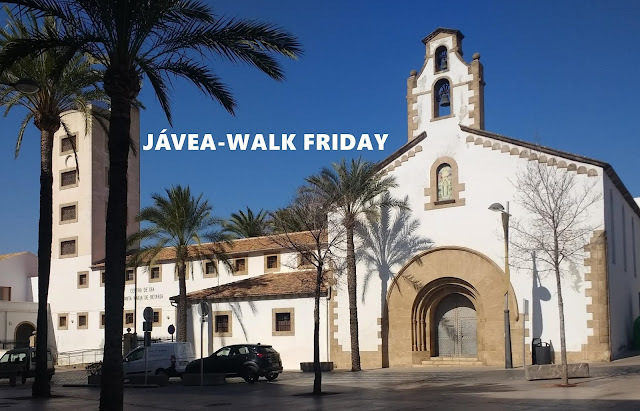 Valencian Gothic architecture developed and grew based on existing Mediterranean constructive systems and architectural arrangements already used by the Romans and Arabs rather than adopt the novel architectural styles from northern France. This is a portion of his Travel Account written by Aureliano de Beruete (eminent historian and critic of art) when he visited the Valencian impressionist / historical painter Joaquín Sorolla, who was on holiday in Javea 1905. One hundred miles south of Valencia, a little used narrow-gage railway brings us through an opulent country to a shack of a railway-station known as Vergel. The only train that brings you there in the day arrives exactly at noon. From the station there is nothing to see save a miserable country restaurant across the way and a blazing white road that stretches away in radiant sunlight across the treeless plain. That twelve-mile ride in the tumble-down Vergel diligence is not a tempting prospect, but it is the opening of the door of Javea, a hidden Paradise where Sorolla has done a great part of his outdoor work. 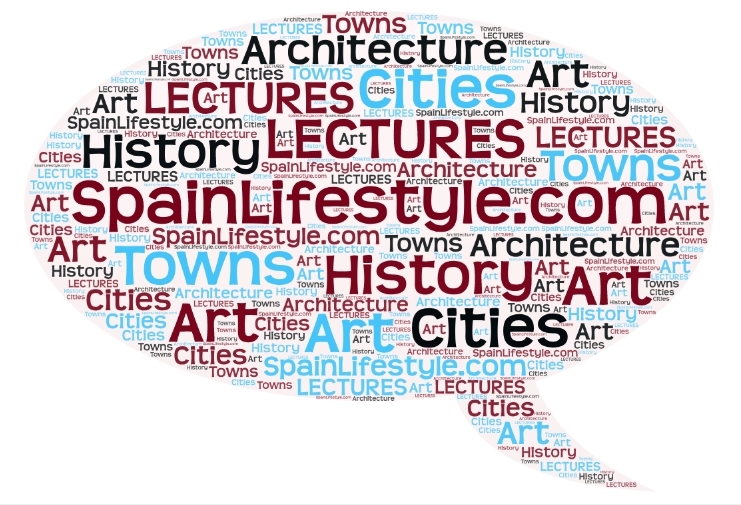 Thursday, March 28th, 17.00 H This History of Gandia is a SpainLifestyle.com presentation that explains the early beginnings of Gandia through to its modern transformations by exploring its royalty, nobles, arts, crafts, trades and architectural building and monuments. The capital of the Safor region, sitting on a rich agricultural plain next to the river Serpis, Gandia enjoys a mild climate, excellent beaches and a delicious local favourite dish of fideuá. 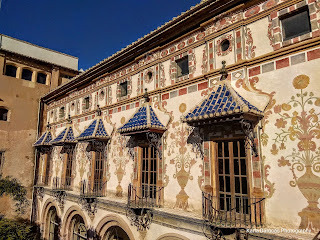 But apart from its tourist side, this Valencian town retains a history marked by illustrious characters and magnificent civil and religious buildings. 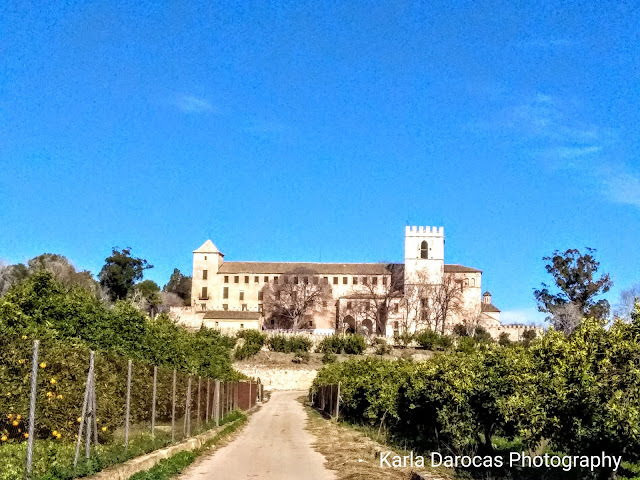 The Royal Monastery of Sant Jeroni de Cotalba sits proudly on a small hill just outside of Gandia, in the district of Alfauir (Valencia). It is surrounded by nature, orange groves, walking trails and picnic spots. It is now a private estate that opens the main floor and the grounds to the public on weekends, but for over the past 600 years, it has been a very special place for Kings, Queens, Nobelmen and women and the Hieronymite Order. The Hieronymite Order has its origin in Jàvea. 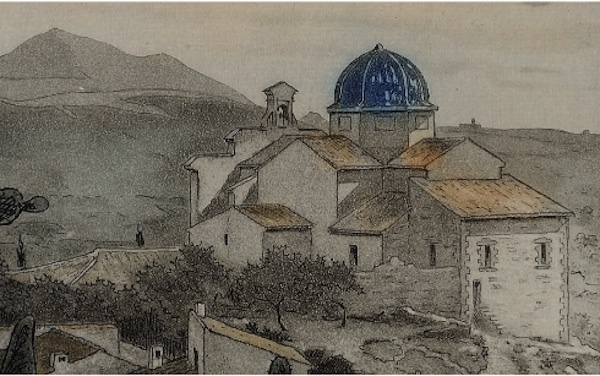 In 1374 Pope Gregory XI authorized the foundation of a monastery in Jàvea to the Hieronymite order. The duke Alfonso of Aragon granted the grounds for this monastery but it was attacked by Berber pirates in 1387 and the monks feared to return there. For that reason in 1388 Alfonso of Aragon bought the territories of Cotalba from Muslims, which was safer and he donated it all to the Hieronymite monks of Jàvea. This is a story about a small village, a large wharf, a visionary business man and his fleet and a tiny treat of dried fruit. The Xábia wharf was finished in 1879 and all of the small fishing boats and transport barges that would normally be stranded on the beach could now properly anchor. The large size of the wharf allowed for the berthing of a variety of boats, many of them owned by the main merchants of Xábia. 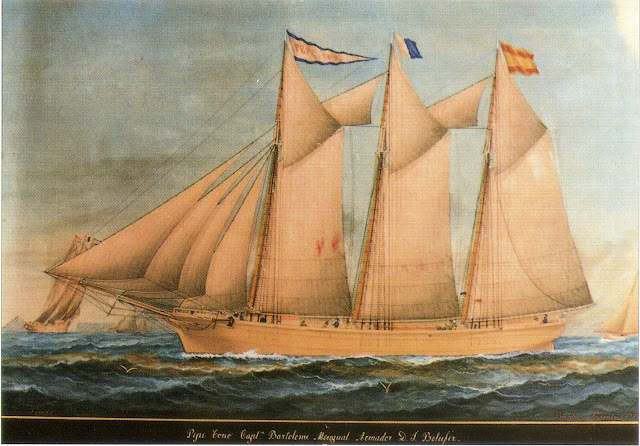 On any given day, the ships that moored in Xábia were Feluccas, a traditional Mediterranean wooden sailing boat; Jabeques, a triangular sailboat, with which one could also sail by rowing; Schooners, a type of sailing vessel with fore-and-aft sails on two or more masts; and Pailebotes, a type of sailing vessel that has had various uses: merchant , fishing or recreational yacht.